Some people have difficulty to fall asleep, but if their sleep are not enough, they feel sleepy during daytime. Sleep is quieting down the movement of qi of the body as it becomes dark at night. Generally, the movements of animals are largely corresponding to the change of light and shade during the day. Quieting the movement of qi down means that qi gather in the internal organs, the core of the body. The movements of limbs become more still than daytime, and the brain works subconsciously. The internal organs accumulates power during night. When the movement of qi of the head cannot be calm down at night, one feels difficulty to fall asleep. There are two causes for this; one is that the internal organs do not have enough power to accumulate qi at night, and the other is the case when the movement of qi around the head is extremely stronger than the power of qi of internal organs. The case that one cannot sleep because the body is extremely tired corresponds to the former, and the case that one is thinking too much and takes time to fall asleep corresponds to the latter. When one cannot stop feeling sleepy, it indicates that the power of qi of the internal organs is not tonified enough during night. One can compare the old person drowsing during daytime or whose sleeping hours at night gets shorter to the old battery; the power of tonifying qi of innter organs is not sufficient and it is easy to run out quickly. (1) Firstly, examine the cause well, such as whether using the body too much until exhausted completely or whether having the big problem or not. (2) For the case of severe fatigue, it is necessary to have professional treatment, but in such a case, one might feel more tired after the treatment. (3) Do not consider to take sufficient nutrition when you are extremely tired. High nutritious foods require rather strong digestive power, so they are too heavy for the exhausted body. Rather, it is recommended to take something carbohydrate, easy to digest, such as potatoes, little by little. *This article is translated from "Yamai hitokuchi memo" p. 182-3, written by Shoji Kobayashi, 2005. 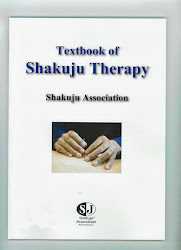 Articles of this book were meant to be written for patients who came to Taishido Acupuncture Clinic.